To provide safe and nutritional food assistance to persons in need using the acquisition of food resources through donations, fundraising events, and collaborating with community partners. We started operation in October 1988 when a group of concerned Carleton Place residents recognized the problems created by the recession of the 1980’s. With modest beginnings in the living room of one of the volunteers, as demand increased, the food bank moved to a store front on Bridge Street. It later inhabited a location on Franktown Road until 1997, before moving to its current location on Allan Street. Lanark County Food Bank Inc. became a registered charity in 1988 and was the only food bank in Lanark County at that time. The Table Community Food Centre (in Perth) and the Smiths Falls Community Food Bank (in Smiths Falls) became registered charities in 1997 – 8 years later. The Lanark Highlands Food Pantry (in Lanark Village) became a registered charity in 1998 – 9 years later. And that is why we are called the Lanark County Food Bank. 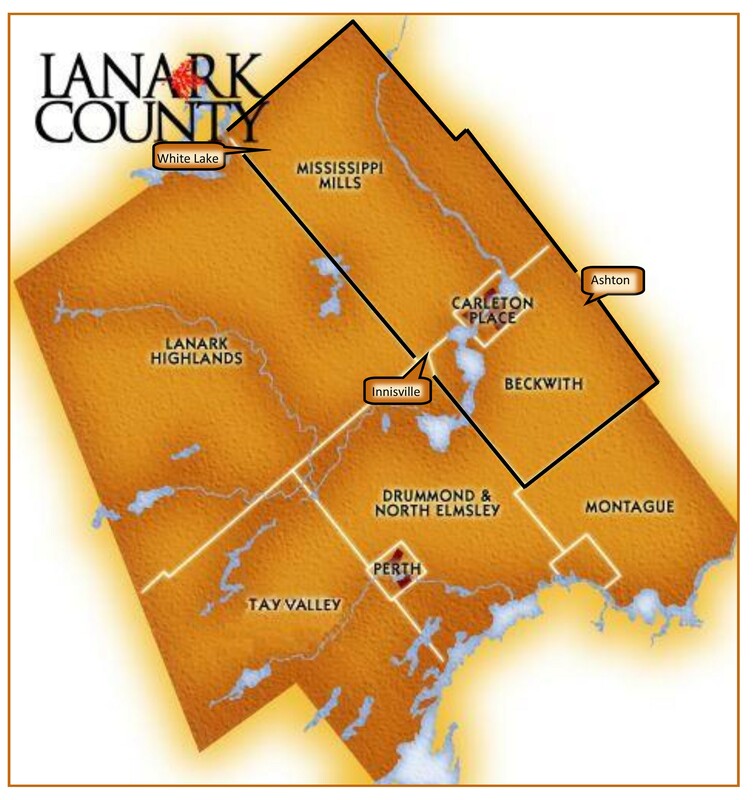 The Lanark County Food Bank is a non-denominational, non-political organization sustained solely by private donations. We do not receive support from any level of government. The food bank is operated by a volunteer Board of Directors, a paid part time manager and approximately 65 dedicated volunteers who provide front line service to our clients. We also deliver to Almonte, with the help of St. Paul’s Parish House (70 Clyde St.) which offers distribution space once a week for clients in that area without transportation. Our role is to provide 5 day’s worth of food, once a month to families and individuals within our territory This includes the communities of Carleton Place, Mississippi Mills (Almonte, Clayton, Blakeney, Pakenham, Appleton & White Lake), Beckwith (Franktown & Ashton), and Innisville. Clients can access the food bank once a month. call or drop in to fill out an application . Identification requested for all family members. Lanark County Food Bank is a registered non-profit charitable organization (Revenue Canada Registration Number: 892308768RR0001) and a member of the Ontario Association of Food Banks.